I recently needed a gift for a good friend’s baby shower. They already had the baby, he was adopted so there was no time for a shower before he came. Instead they celebrated his court date when the adoption became official. Since the gift was for a 6 month old baby, they already had all the essentials. But I wanted something useful, that still had that homemade touch, and I didn’t have weeks to knit a blanket (not that I can knit anyway). 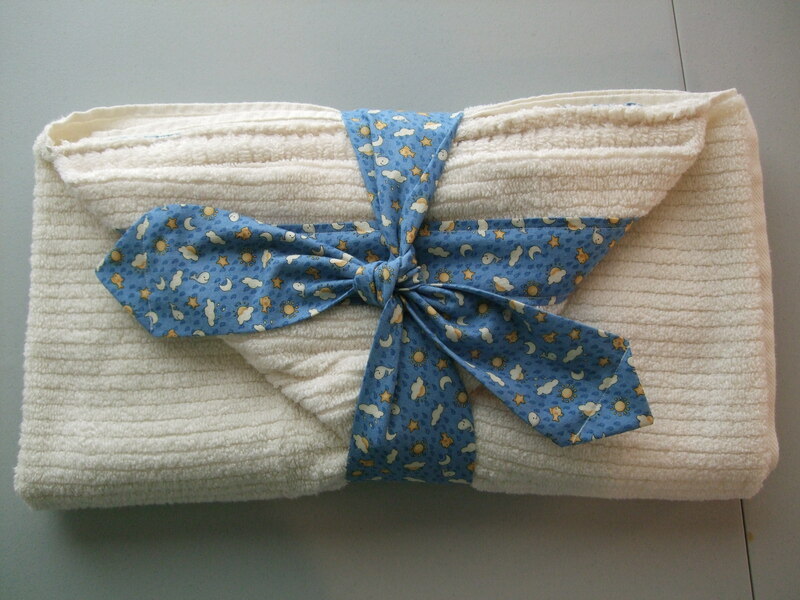 I found a couple different tutorials online for versions of this sweet little hooded baby towel, and if you can sew just a little bit, you can make this! Step 1: First things first, gather up your supplies. 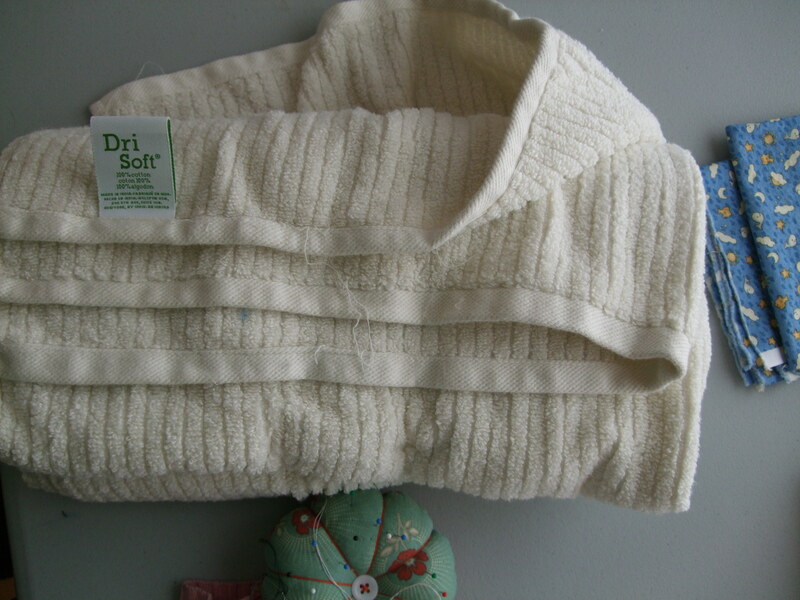 If you can see the tag, I used a 100% cotton towel that I picked up at my local big box bed and bath store – do pick the softest one you can find. The trim fabric is where you can get creative or use your stash. Small prints will be more effective if you want to see the pattern. I found a cute boy-friendly whale print at my local Joann Fabrics. Don’t forget to wash and dry everything before you start. 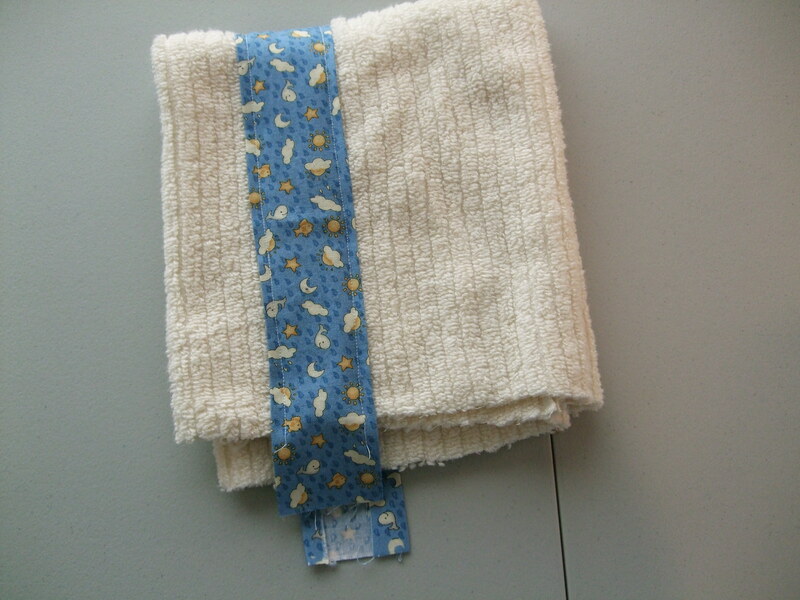 Step 3: Sew the accent fabric to the towel with a 1/4″ seam allowance. No need to back-stitch as you’ll be sewing these edges up. 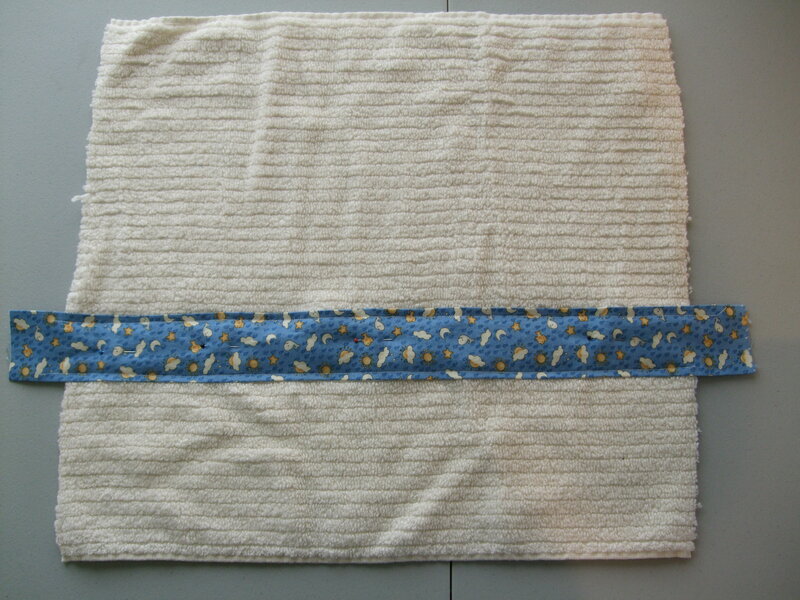 Step 4: Fold the hood piece like in the picture with the accent strip on the inside. 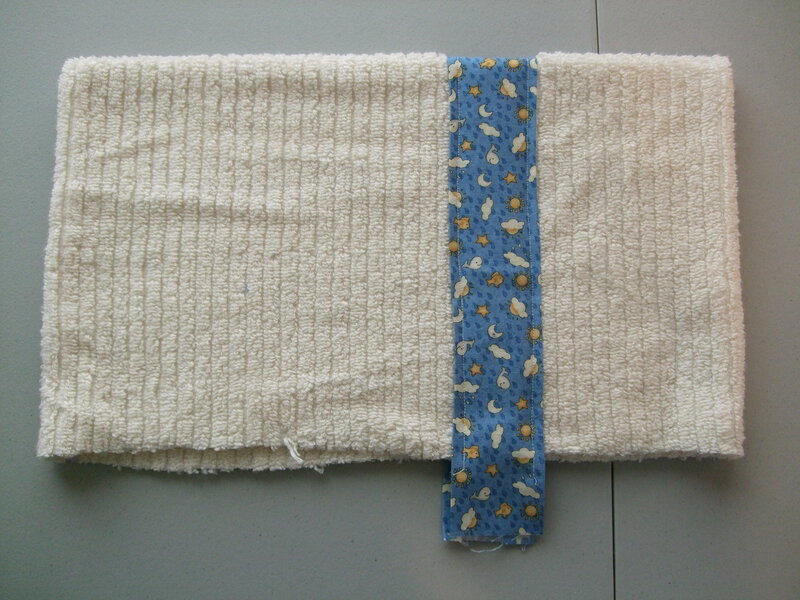 Sew up the towel sides as it’s folded now, just inside of the original towel seams. Step 5: Invert the hood back around. This is just getting ready for step 6. Step 6: Do a little towel oragami, and invert one side of the towel into the other as pictured. This one’s tricky to explain, I recommend just studying the picture until you get what to do. Step 7: If you’ve done step 6 properly, it will be clear how to turn the hood to now make it look like this. 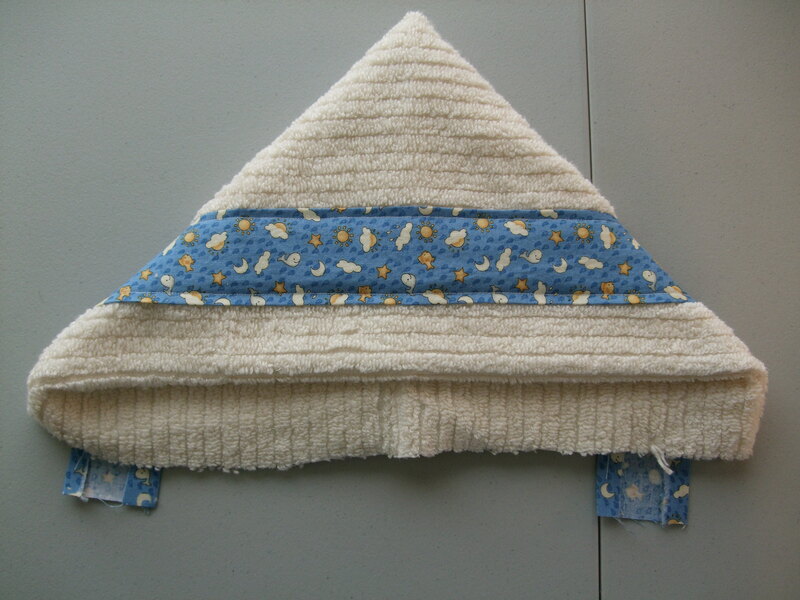 Step 8: Now take your bath towel, fold it in half to find the center of the long side of the towel, and pin your hood in place. It might be a little messy, but you’ll trim off all those raw edges after you sew it up, so don’t worry about it. You’re almost done, so go ahead and sew! You may need to help all those layers through your machine, and do back-stitch this time since this is your final seam. 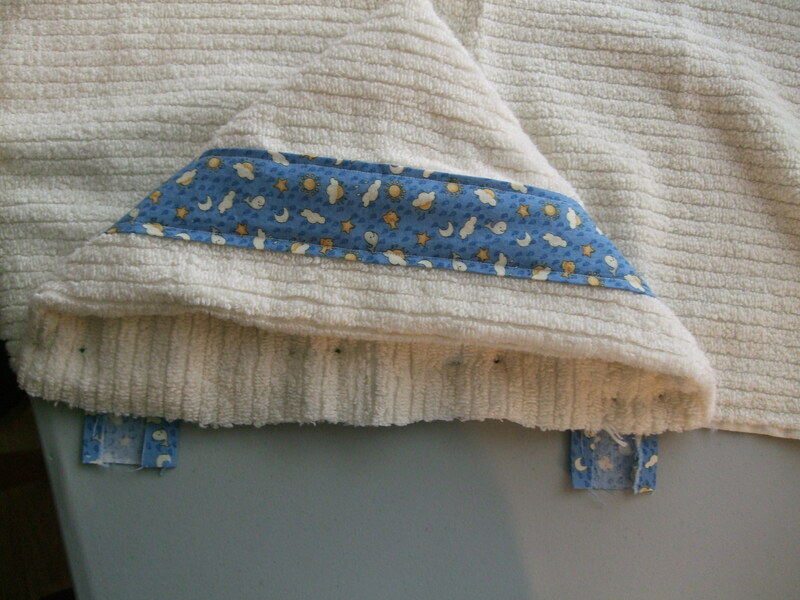 Step 9: Once the hood is securely attached to the towel, you can trim up all those raw edges. 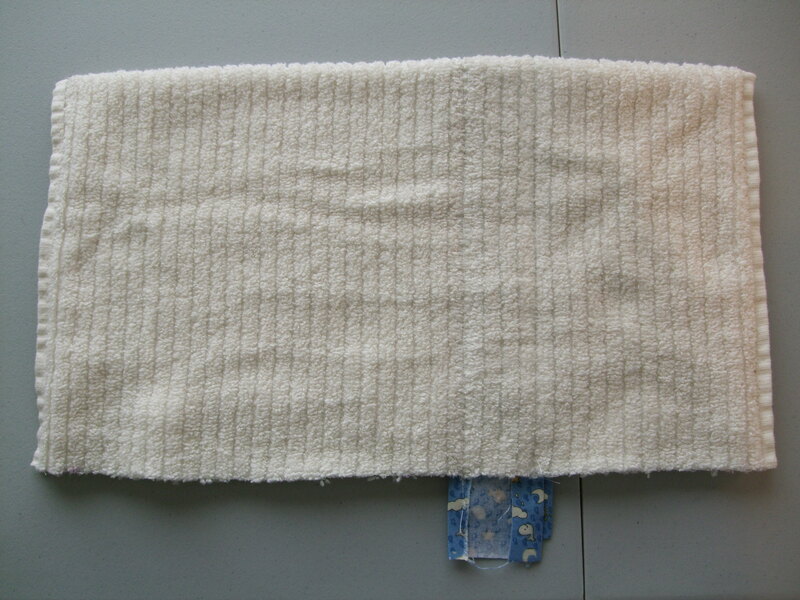 If you picked a nice soft towel, the raw edges will be on the inside but they should still feel nice and fluffy and soft. 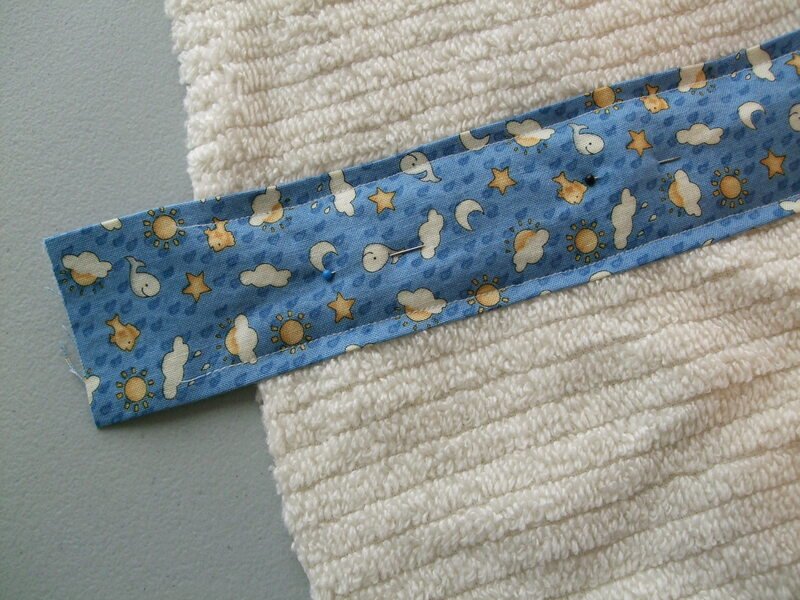 I had extra accent fabric so I sew up a little tie to wrap the whole thing up in a pretty package. This entry was posted in Craft, Sew. Bookmark the permalink.